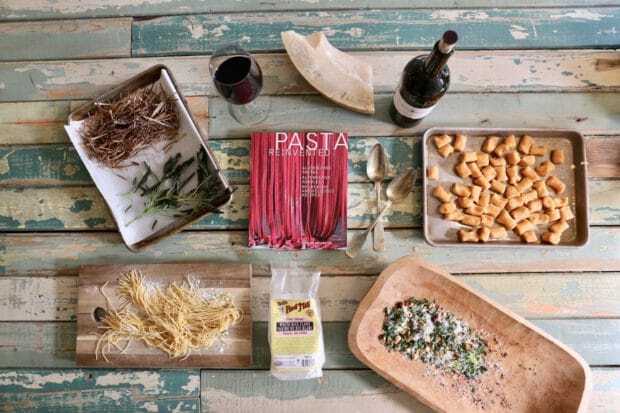 We gathered that day for a feast to share our love for slippery noodles while flipping through an innovative new cookbook, Pasta Reinvented (DK Publishing, 2018). The pasta and noodle cookbook focusses on healthy alternatives to wheat-based pasta – often gluten free – offering recipes for making pasta doughs from scratch, as well as savoury sauces. Flipping through the 192 page book quickly makes one realize there is a lot more to discover in the world of pasta than the traditional dried wheat-based varieties found on your neighbourhood grocery shelf. 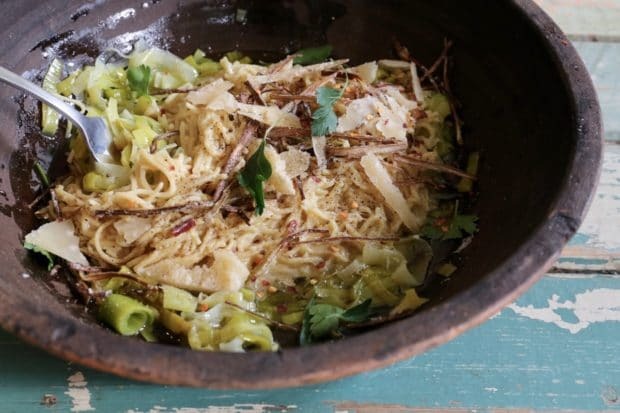 The noodle recipes inside Pasta Reinvented range from Italian inspired to awesome offerings from Asia (who doesn’t want to learn how to make their own heartwarming bowl of pho at home?) The recipes for these nutrient-packed alternative pastas are made from a variety of grains, beans, and nuts. Truth be told, I’m not a gluten free eater, and was cautiously curious about what results would transpire after cooking through a few of the books recipes. 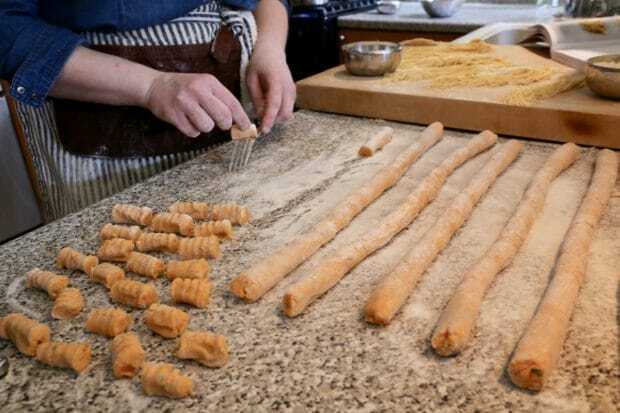 I quickly learned that reinvented pasta recipes allow you to prepare dishes that highlight – not hide – the flavours of a chickpea pasta, almond flour pappardelle, or shirataki noodles. While those living with celiac will love the book, I learned it’s also a great resource for those looking to add nutrition at dinner as well as enjoy new flavours and textures with each bite. Our sweet potato gnocchi were plump and sweet, while the stringy chickpea spaghetti offered a nice nuttiness to the classic Cacio e Pepe. Charlotte Langley stands out as a reinvention all on her own. The Toronto-based chef worked in the kitchen at Cafe Belong and Catch before deciding to reimagine her role in Canada’s food industry. 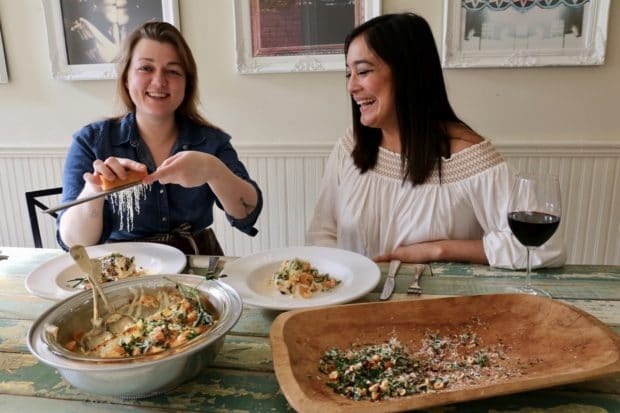 Soon after walking away from traditional bricks and mortar restaurants she launched Scout Canning, which allowed her to work from home, wholesale her products to restaurants across the city and showcase her catering skills at events. 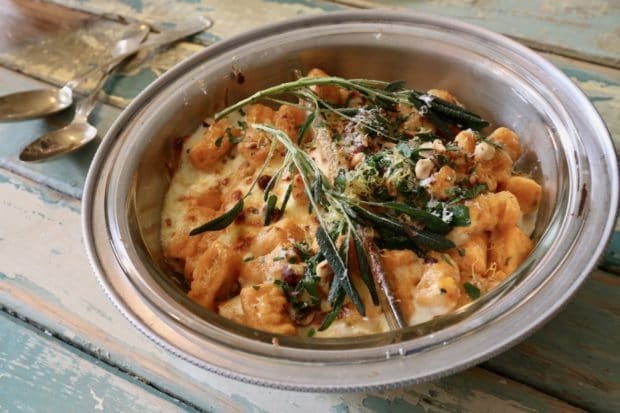 Sweet Potato Gnocchi and Hazelnut Gremolata (Recipe found on page 164). Chickpea Cacio e Pepe with Crisped Leeks (Recipe found on page 113). There’s something liberating, dare I say exciting, about reinventing a classic – whether it’s your career or a dish in the kitchen!